Hello everyone! Hope you're well! So we're all currently going into two separate seasons; Winter and Summer. As I'm living Down Under, I'm going into the former. And all of you Northern Hemisphere beauties are going into Summer. What does this mean for both of us? We're all needing to switch up our routines a lil bit to help our skin adapt. Summer skincare is all about using light, hydrating and possibly soothing products. You'll want to ensure that your skin is as clear and healthy as you can get it to achieve that summer glow, and to prevent you from piling on layers of makeup that will only be wiped off with the sweat and grease that comes with that hot sun. The makeup you do wear, and the sweat and grease you collect will need to be completely removed from your face to clogged pores and breakouts. This means, going back to base camp and having a bit of a review over what you're using to keep your skin clean. As for those - like me - in the months of winter, you'll want to ensure your skin is being as hydrated as possible to keep the dryness at bay. Dry skin is a terrible base for makeup and will also result in breakouts due to the over production of oil. Not to mention, its very uncomfortable. So what brand to I turn to when I'm having a bit of trouble? None other than Cetaphil. 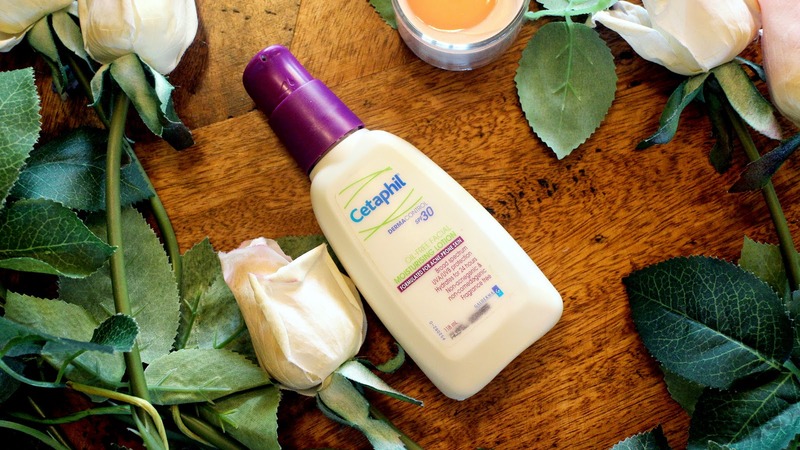 Cetaphil is beautifully formulated for people of all ages. Just so you get an idea of where I stand, I'm a teenager who has oily and acne prone skin. I always make sure that I'm investing in a product that will not only last me a while - thus stop me from dishing out money from my pocket every month or so - and will prevent the pesky pimples from setting up camp on my poor face. A while back I popped into my doctor to discuss my skin situation. Every time I visit her with skin issues she always recommends for me to use Cetaphil. She's been kind enough to provide me samples with each trip also. So with the help of Cetaphil and some pills, my skin is the best its been in years. (I would show you a picture but I'm rather ill at the moment and am looking a little gross and unpresentable). 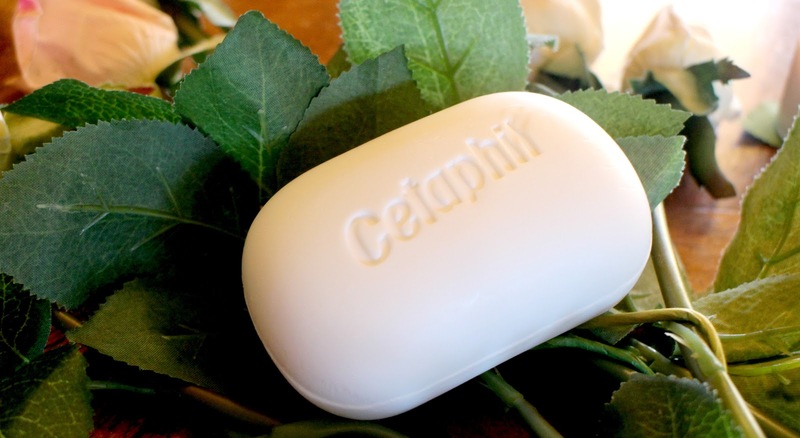 All of Cetaphil's products are non-comedogenic and fragrance free. So today, I'm going to show you four of my favs. 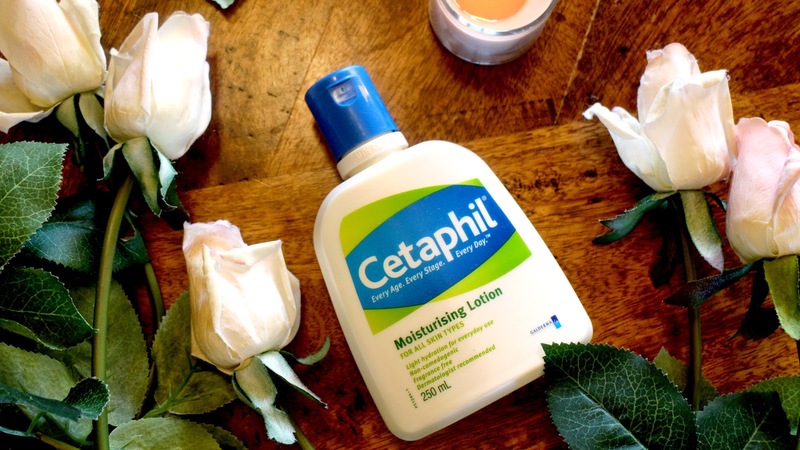 Starting off with none other than Cetaphil's infamous moisturising lotion. I believe I might have mentioned this one in a past favourites post, and I vaguely remember not being over the moon with it. "Lanolin, paraben and fragrance free ♡ for facial and full body use ♡ Helps protect baby's delicate skin ♡ non-greasy ♡ non-comedogenic (won't block pores)"
Honestly, I believe it was because I wasn't used to it's formulation, which is odd considering it wasn't a huge leap from what I was using at the time (a Clean&Clear daily moisturiser, which was a much thinner lotion). As it was a long time ago, I can't really recall my first impression, but needless to say, I'm now hooked. It's thin enough to not bother you in the warmer temperatures, yet thick enough to be moisturising in the dryer months. It glides on like a dream, and sinks into your skin within seconds. I use this at night. My reason being is that during the day I've been making sure to use a moisturiser with spf (more on that later), and because spf is believed to clog your pores as you sleep, I switch to this one. And for around $10, I find it to be very kind to the old pockets. Now for my second moisturiser, the Derma Control, Oil-Free Facial Moisturising Lotion (apologies for the horrible focusing). 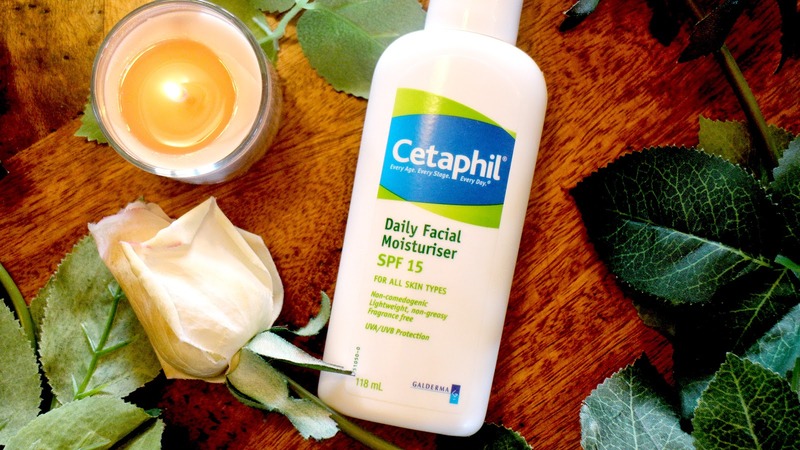 "Formulated for acne-prone skin ♡ Broad spectrum ♡ UVA/UVB protection ♡ Hydrates for 24 hours ♡ non-acnegenic & non- comedogenic ♡ fragrance free"
This is Cetaphil's moisturising lotion (with spf 30) from their Derma Control line. This was recommended to me by my doctor during the worst of my skin times. 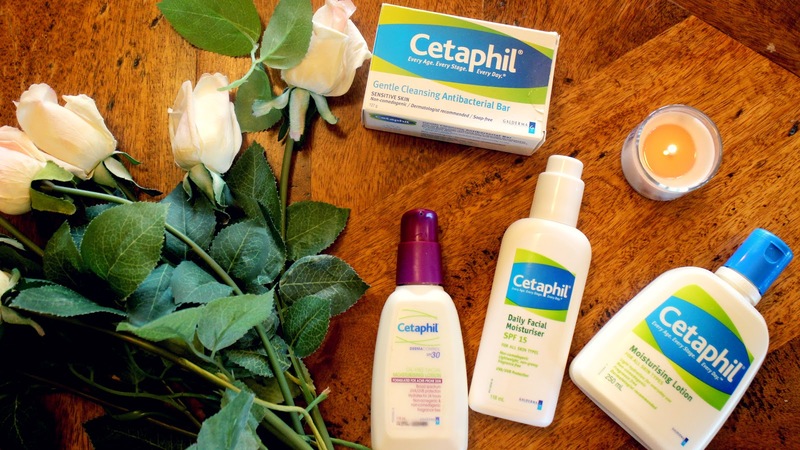 I would love to hear if any of you have used anything from this particular line from Cetaphil, because I must say, I saw a bit of a difference in my skin. As I'm no dermatologist, I can't tell you what exactly in this product helps with controlling acne, but as a user I can say, whatever the magic ingredient is, it works. Same goes for this one as the last. It's a little thicker in consistency, but doesn't feel greasy at all, and settles into the skin quite nicely. A little side note, I burn to the colour of a lobster, and when I use this moisturiser I have no issues with sun burn. I haven't used this much yet, however I've worn it out enough times to gather my opinion on it. The SPF works for starters, just like the above product. It's just as light weight and smooth as the other two (if not, lighter) and has a pleasant smell. I think it might be more suited to the summer months though, as I must admit it doesn't seem to be as hydrating. As for everything else, same goes. 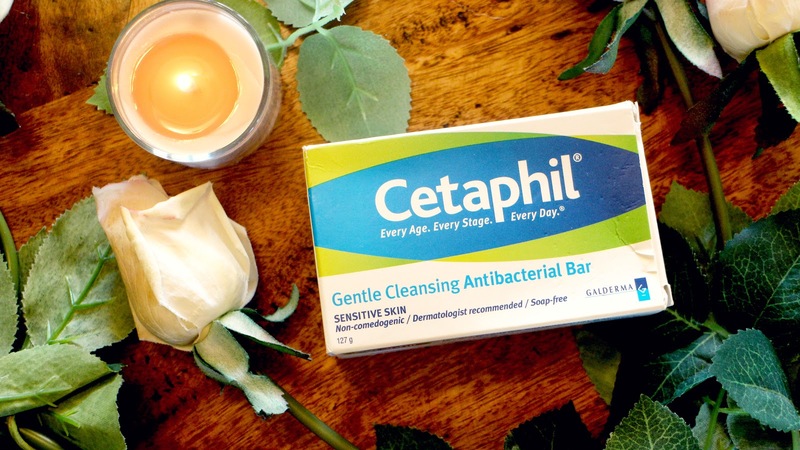 Now finally for the Gentle Cleansing Antibacterial Bar. This is formulated to be used on sensitive skin, with the bonuse of being soap-free. Soap-based cleansers are something you definitely need to steer clear from. They can be incredibly harsh to the skin, and strip your face of its natural (and good) oils, which is a big no no in both the months or summer and winter, regardless of how oily your face already is. I've fallen in love with this product, reason being is that it's the only cleanser I've found to truly match my skins needs. It's not at all heavy, and is very light and soothing. As its antibacterial, it helps prevent breakouts and really gets your skin back to base camp, allowing you to work with a lovely base for your makeup, or to go to sleep with completely squeaky clean skin. I have an odd breakout on my shoulders (if anyone else has this and has gotten ridden of the scarring and acne, please comment below), and this is on of two products that are the only things to help out (the other being Frank. If you want a review, comment below). This cleanser earns a big thumbs up from me! That's it for all the Cetaphil products. 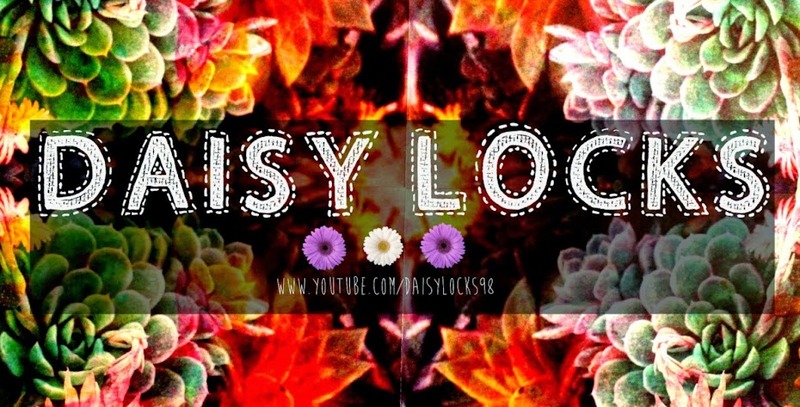 If you'd like to see something in particular on Daisy Locks, let me know below. 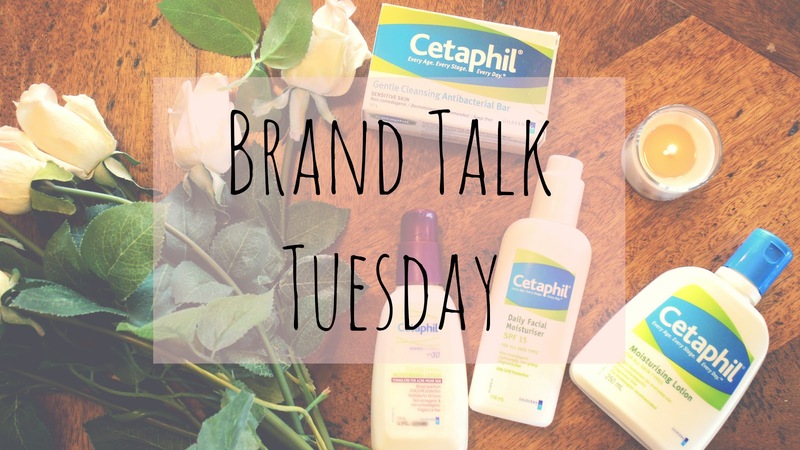 If you have your opinion on Cetaphil, let me know also! I hope you enjoyed this posting!